“Amir Abbas Fakhravar is an Iranian jailed dissident, award winning writer, and the recipient of the prestigious Annie Taylor Journalism Award. He is the Secretary General of the Confederation of Iranian Students and President of the Iranian Freedom Institute in Washington, D.C. Currently, Fakhravar serves as Research Fellow and Visiting Lecturer at the Center for the Study of Culture and Security at The Institute of World Politics. Fakhravar spent over five years in prison and suffered brutal torture in jail. 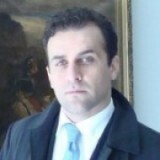 His treatments in the Islamic Republic prisons have been described as first known example of “white torture” in Iran by Amnesty International. According to Amnesty International, the cells had no windows, and everything was entirely colored creamy white. The meal was white rice on a white paper plate. If he wanted to use the toilet, he had to put a white slip of paper under the door of the cell to alert guards who reportedly had footwear designed to muffle any sound. Fakhravar was forbidden to talk to anyone. Amir Fakhravar has testified before the Senate Homeland Security committee and the House Foreign Affairs on U.S-Iran relation, Foreign Policy, U.S. government broadcasting and Iran’s Nuclear issues. Fakhravar among his CIS team briefed parliament members at the European Parliament and Parliament of Finland, the Parliament of the United Kingdom, Parliament of Israel, Parliament of Germany, and Parliament of Canada. He has been a foreign affairs and Iran expert at FOX News, Alhurra, CNN, CBN, VOA, Radio Farda and CBS.